Snacks? Check. Couch? Check. Remote? Check. 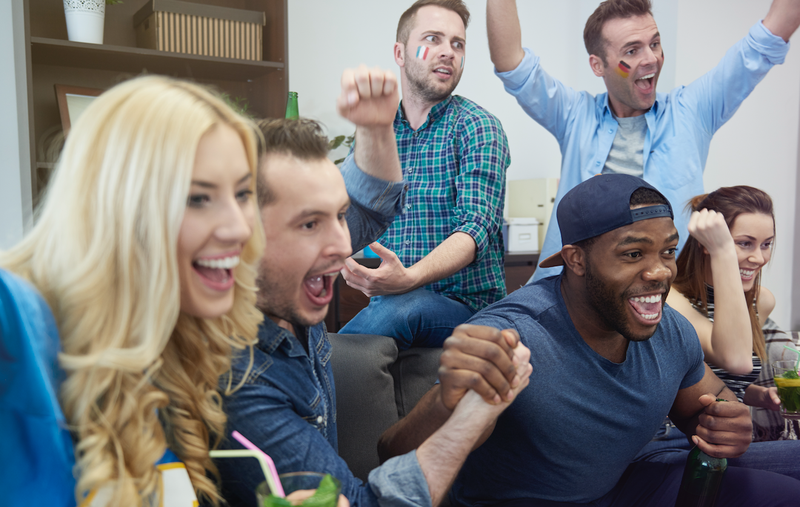 You are now ready to enjoy the weekend's sporting action, so sit back, relax, and take in the splendour of what is sure to be a weekend to remember - well, if the Springboks bring their A-game, that is. Yeah, so, the Springboks go into this massive Rugby Championship clash in New Zealand off the back of two defeats. I'm not going to lie, I am a little worried, and have been getting night sweats thinking about what happened last year in Albany. Oh, you thought you could erase that result from your memory? Well, no, you can't, it will continue to haunt us. It finished 57-0 at the North Harbour Stadium. Embarrassing? Yes. Humiliating? Yes. Will it ever happen again? Quite possibly. Did you not see how poor the Boks were last week against Australia? There is no need to hype this Premier League match up all that much, as it pits two attacking, easy-on-the-eye sides against each other. Liverpool have started the season expertly, winning their opening four matches, while Spurs have lost just once, and have their 3-0 success at Manchester United to draw inspiration from heading into this titanic clash. The two league matches between the sides last season produced nine goals - and a lot of drama, and there is little to suggest that this one won't be another high-scoring affair. You just need to look at the attacking talent which will be on display to know that anything other than a few goals will be a massive disappointment. However, it is not the names of Harry Kane and Mohamed Salah that command the greatest respect going into this one, but rather Spurs' Lucas Moura and the Reds' Sadio Mane. The pair have been on fire so far, scoring goals for fun. Yes, Kane and Salah are the main men for both sides, but we could be in for a treat if the others continue to chip in. We are all set for a cracker - do not miss it! "Oh, no, not the Premier Soccer League," I hear you curse into your coffee. Hey, show some respect! Yes, the reality is that our local football is far from the same quality of that of the Premier League or La Liga, but you cannot knock it for its entertainment value, and if there is one match you watch this season, Cape Town City v Kaizer Chiefs is it. Both of these sides have a flair for the unpredictable, which means this game has the makings of a classic. City have started the new season in pretty average fashion, while Amakhosi have endured a nightmare start - failing to win any of their opening five league matches. "Why the hell should we watch this then?" Well, it goes back to that unpredictability which I spoke of, literally anything could happen. A 0-0 draw is possible, while a thrilling 3-2 win for either side is not out of the question. Watching the Premier Soccer League is very much like playing the lottery - the initial excitement ends in anger and self-pity, but who knows, maybe this time you will strike it lucky - and this is the game to pick your numbers for. If I have failed to convince you to watch Cape Town City v Kaizer Chiefs, then this is not a bad clash to choose as the alternative. This match represents a repeat of the 2017 Currie Cup semi-final - which Western Province won, as well as the 2015 final - which the Lions won. Both sides go into this match with 100% records, so something has to give - and you can bet your last Rand that neither will give an inch in their quest to keep their strong starts going. Both sides have averaged over 40 points per game so far, but this particular game is expected to be a lot tighter, with neither side keen on gifting the opposition anything (take note, Springboks). While this match comes at a very early stage in the season, it could very well be make or break in terms of securing a home semi-final. The corresponding fixture last season ended in a 29-20 victory for the Lions, but with that semi-final win at Newlands last year still fresh in the minds of the boys from Cape Town, confidence will be high and an intense match should play out. We are getting to the business end of the Formula One World Championship for 2018, so if the likes of Kimi Räikkönen and Sebastian Vettel have real designs on catching World Drivers' Championship leader Lewis Hamilton, now is the time to make their move. There will be just six races left after the Singapore Grand Prix, so you can imagine the intensity which will consume this race. Hamilton won't want to slip up, while the chasing pack will be wishing on a prayer that he does. Hamilton came out victorious at the last Grand Prix held in Monza, Italy on 2 September - his sixth win of the season, but he will be wary of the fact that Vettel has a very good record in Singapore, winning four of the last seven races. Hamilton won last year's race, but if you know your Formula One, you will know that nothing is a given in this sport, and it would not be surprising if someone like Max Verstappen or Daniel Ricciardo came out on top. With so much on the line, this is going to be a race to remember, so don't you dare miss it.